For three decades, people in Cibolo have turned to the professionals with Action Garage Door for garage door repair. Thousands of satisfied customersacross the area can attest to the high-quality work that our family-owned company delivers. When you choose Action Garage Door, we’ll make sure that you benefit from the highest caliber repair services available. We offera wide range of garage door repair services to our Cibolo customers, and always work in total compliance with all applicable municipal codes. In addition, our products are tough enough to with stand all kinds of Texas weather, from scorching summers to cool winters. When you need garage door maintenance or repair at your Cibolo home or business, you can count on our experts to solve any problem efficiently and effectively. Along with providing top-notch repair services, we can also install a new door on your residential or commercial Cibolo property. We offer models from the best manufacturers in the industry, such as Amarr, Chi, Classica and others. Our experts will work with you to select a door that perfectly complements your home or business and offers the durability to last a long time, even in the sometimes-harsh Texas climate. 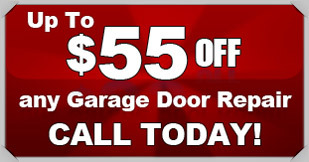 When you need garage door repairs or installation in Cibolo, call on the experts with Action Garage Door. We’ll take care of all your garage door needs as quickly as possible, and will work hard to get the job done right the first time. Contact us online to schedule service.